Ryan Gregor started heads-up play almost a 2-1 underdog in chips to Jason Darland. The match between the two, however, was all Gregor's at the start as he methodically worked his way to the chiplead without any all-in plays, then chipped Darland down until he had nearly a 4-1 lead. Darland fought back, however and closed the gap to almost dead-even in chips after the end of the first two full levels of heads-up play. 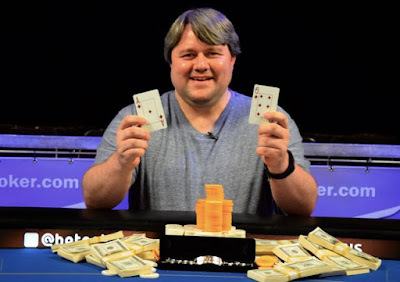 In the final hand of the tournament, Gregor raised to 650,000 preflop, Darland moved all in and Gregor made the call. The board runs out 2♥️ 3♦️5♣️ A♣️ 5♦️ and Gregor had all the chips.